The company's first premises were at Styckjunkargatan in Stockholm. In 1949 the name was changed to “Nordic Machine and Motor Industry”. The work on engines and hydraulics had to leave room for Bearings, which over the years has become an increasingly important product in the company. Therefore, the name was changed in 1969 to Nomo Kullager AB (Nomo Bearings AB). In 1983 the company moved to Täby outside Stockholm. 1966 was the year that the office in Gothenburg opened up. In Malmö, the business opened in 1977. 2000, Nomo was acquired by Axel Johnson International. Establishment in Denmark 2001. The first acquisition in Finland was take place 2008 followed by 2010 and 2011. 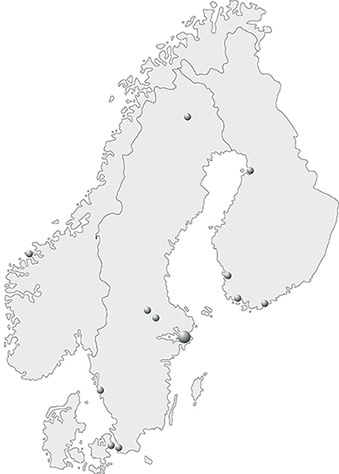 Two acquisitions in Dalarna in Sweden was also take place in 2011 and a branch opened in Gällivare 2014. 2018, a logistics center opened in Shanghai, and in the same year two branches with customer receptions was acquired in the Stockholm area. In the summer of 2018, the company also entered the Norwegian market through an acquisition in Ålesund.